Tan Sri Dato’ Seri Shahril is the President and Group Chief Executive Officer of Sapura Energy. He is also the President and Group Chief Executive Officer of Sapura Group, a Malaysian-based conglomerate which operates in various segments that include secured communication technologies, aviation, automotive manufacturing and property investment. 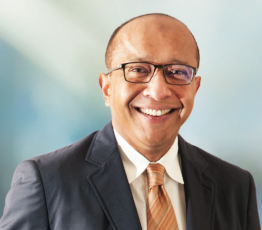 Tan Sri Dato’ Seri Shahril is a member of the Massachusetts Institute of Technology (“MIT”) Sloan Asian Executive Board and a member of the Board of Governors for the Asia School of Business. He is an active participant at the World Economic Forum. Tan Sri Dato’ Seri Shahril was conferred an Honorary Doctorate in Technology Management by the Universiti Teknologi Malaysia (“UTM”) in May 2013. He is also a member of the Board of Trustees of the UTM Endowment Fund.